Missionaries of Our Lady of La Salette. Motto: Make this message known to all my people. These words were first spoken by Our Lady on September 19, 1846 to two little children, Maximin and Melanie, near the small town of La Salette, close to Grenoble, France. The Auriesville Shrine is located in the beautiful Mohawk Valley in central New York State about 40 miles west of Albany. 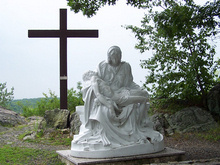 Surrounded by 600 acres of beautiful land near the Adirondack Park, the Shrine is a great place to visit for Mass or pilgrimages and bring a picnic lunch. Interstate 90 (The New York State Thruway), Exit 27 (Amsterdam). Route 30 North a very short distance and continue west along Route 5S six miles to Noeltner Road. 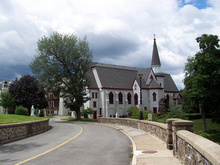 The Sacred Heart Diocesan Shrine, made from local fieldstone, is one-and-one-half stories high and was built by the men of the parish in 1926 (Immaculate Conception portion) and in 1927 (Sacred Heart portion). The park like setting makes for a very peaceful place to pray, meditate and cache. Construction of Saint Adalbert's Basilica, (referred to in Polish as Bazylika Swietego Wojciecha) was started in 1890 by Polish immigrants. It is an example of the Polish Cathedral style in both its opulence and grand scale. The brick building is 240 feet long by 118 feet wide. The 36 Stained glass windows of the Basilica were produced by Franz Mayer & Co. of Munich, Germany. The interior was decorated by Jozef Mazur, an ecclesiastical painter and a member of the parish. The stained glass windows were imported from Germany. The main altar of imported marble was installed with funds left the parish for this purpose in the last will of Fr. Flaczek. The church gained affiliation with St. Mary Major Basilica in Rome in 1907 but may not have received the minor basilica status. In 1854 the Chapel was not yet established as a canonically erected parish. The Batt Family were members of Sts. Peter and Paul in Williamsville. In 1864, asking for divine intervention to end the Civil War, Fr. Joseph Zoegel, the Williamsville pastor, formally declared the journey to Our Lady Help of Christians Shrine a pilgrimage. The San Silverio Shrine of Dover Plains was built by the Ponzesi people as a way of preserving a piece of our Italian heritage in the United States, and showing their devotion to their patron saint. Every year people of Ponzese ancestry come from all over the United States, Canada, and Italy to enjoy the festivals that are held at the Shrine. The Festival of Saint Silverio attracts well over 1,000 people each year. It is the focal point of Ponzese culture, and continues to grow every year. Honors Our Lady's apparition in 1877 in Ireland. Our Lady of Knock Shrine - Opened in 1989 our Shrine and location of Daily & Weekend Masses is dedicate to Our Lady of Knock, Mother of God, who appeared in Knock, County Mayo Ireland on August 21st . All the stained windows and monuments are from Donegal, Ireland. It is a beautiful shrine and a Roman Catholic place of worship. the Irish Village East Durham in the Catskills will contain authentic structures representing a composite village in Ireland, as it would have been at the end of the 19th century. Kateri Tekakwitha was a young Mohawk woman who lived in the 17th century. The story of her conversion to Christianity, her courage in the face of suffering and her extraordinary holiness is an inspiration to all Christians. Shrine is 1/4 mile west of the Village of Fonda. Since its inception in 1898, reconciliation and healing through atonement - the unity of men and women with God and one another - has been the mission of the Friars' work and ministries to people of every race, religion, and walk of life. The Franciscan Sisters of the Atonement are a missionary congregation of women who share life in the vows of poverty, chastity, and obedience within a context of community. We share common apostolic goals, remembering our Foundress Lurana White who said, "Let us have many missions small and poor, but rich in love of God, one another and all people." The Immaculate Conception church was built in 1907 and was permitted to keep its' original altar, statues and decorations. Behind the church are shrines built in 1926 honoring Saint Therese of the Child Jesus, Saint Agnes and Our Lady of Fatima. Visitors are welcome year-round. The shrines are outdoors and are always open. Consecrated religious congregation founded in 1900 by Rose Hawthorne Lathrop, (Mother Mary Alphonsa,) the daughter of Nathaniel Hawthorne. Encourages devotion to Mother Alphonsa and works on the process of her beatification and canonization. In 1921 Father Nelson Baker at the age of 79 years, unveiled ambitious plans for a shrine that would rival any within the U.S. By late1925, construction of the great Sanctuary of Our Lady of Victory was completed and the first Mass was held there on Christmas of that year. It was consecrated on May 25, 1926. Two months later, on July 20, 1926, it was officially designated a Minor Basilica via an apostolic decree from Pope Pius XI. 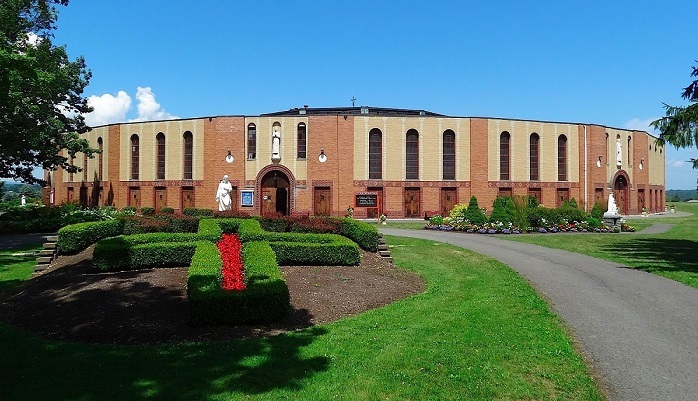 Our Lady of Fatima Shrine and Basilica in Youngstown, NY was built by the Barnabite Fathers in an effort to bring to the United States some of the beauty and charm of the original Fatima, Portugal Shrine. It was begun in 1954 and now covers several acres. Be sure to put this on your list of "Great Places to visit". On the grounds are the Blessed Sacrament Chapel. The statue of Our Lady of the Island atop an 18 foot pedestal of rocks facing the Atlantic Ocean. A monument of St. Louis Marie de Montfort founder of the Company of Mary. Coffee Shop and Gift Shop. The 70 acres of land eas donated by Mr. Crescenzo Vigliotta, Sr. for a shrine to honor Mary. The National Shrine of Our Lady of Mount Carmel was founded to encourage and perpetuate devotion to Mary and her Scapular under the special title of Our Lady of Mt Carmel. All pilgrims are welcome to the Shrine. Situated on 60 acres in the mid-Hudson region of New York State. It is open year around. The Shrine of Our Lady of Lourdes in New Lebanon has been open to visitors since 1929. Modeled after the original site in Lourdes, France, it contains actual bricks from that shrine. 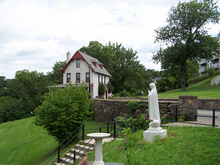 A shrine to Our Lady of Fatima is located across the street from the parish and Our Lady of Lourdes Shrine. The Infant Jesus statue, venerated in the shrine, is a replica of the renowned original statue revered at San Salvatore in Onda Church, in Rome, since the times of St. Vincent Pallotti. The Holy Infant Jesus Shrine is not a parish church. It is a house of prayer and worship for everyone. Beautiful location overlooking the Hudson River. The Fatima grotto, the cucifiction scene and numerous statues are outdoors. The chapel is not open to the public. "Fr. Damasus Winzen and three companions came to a wooded hill outside Elmira NY, which they named Mount Saviour in honor of our Saviour's Transfiguration. In 1951, the life was hard and lacked many of the comforts that people take for granted. 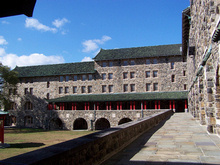 The new monastery was not to be divided into 'choir monks' and 'lay brothers' as has been the custom in recent centuries. The monks share equal opportunities and equal burdens of work, study and prayer. The monks utilize 250 acres of the land for raising sheep and producing market lambs, yarn and pelt products while many other acres serve as a woodlot. There is also a book and gift shop." Eight French Jesuits, the most famous of whom was St. Isaac Jogues, were martyred while spreading Christianity in North America and Canada. In 1936, Msgr. Patrick A. O'Leary from Ireland, who had studied the Jesuits, wanted to build a chapel in their honor. He chose to build it in the shape of an Iroquois long house. Outside the barrel shaped chapel, alongside the Lord's Prayer and the Hail Mary translated into Iroquoian, are Indian plaques and carvings. Inside the church along with a painting of the Crucifixion are traditional North American Indian motifs stenciled along the walls. Pews are rough hewn wood. The overhead lamps are shaped like Iroquois food storage pots. The altarpiece is made of logs, shaped like stockade with the pickets arranged like organ pipes. The altar light rests in a two-foot-long replica of an Iroquois canoe. Stations of the Cross are painted on an Iroquois drumhead. The Sisters Servants of Mary Immaculate (Ukrainian Byzantine) operate and maintain both an indoor and outdoor shrine to Our Lady-The Holy Dormition (Assumption). Visitors are welcome to the outdoor shrine anytime, but must call for reservations for the indoor shrine. In May 1892, Rev. Anthony F. Kolaszewski and 124 families petitioned the bishop for a new parish. The following month the organizers met, decided to build their own church and selected the Sacred Heart of Jesus as their Patron. On July 24th 1892 the corner-stone for the new wooden church was laid and blessed. The first Mass was offered August 30, 1892. Rev. Francis Rusin came to Sacred Heart in June 16, 1896, immediately after his ordination. He found a flock of 85 families, a $17,000.00 church building and debts of $11,000.00. From that day forward Father Rusin toiled, working with his own hands to build the beautiful current church. On June 20, 1906, with the permission of the Board of Trustees, two Park Avenue lots were purchased. At the beginning of 1907, Merrich and Randall, architects, prepared the plans and specifications for the new church. The parishioners themselves dug the foundation to save on money. The cornerstone was blessed October 20, 1907. The gothic church, built in the shape of a cross, is built of stone with a marble veneer. It is 162 feet long and 105 feet at its’ widest point. The seating capacity is 1200.  Its’ two spires are 212 feet high. It was dedicated June 5, 1910 by Bishop R. Rhode, D.D. Polish Auxiliary Bishop of Chicago, by special permission of Bishop Ludden. Sacred Heart was designated as a Basilica on October 10, 2004. 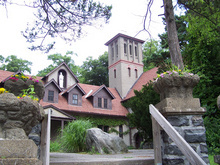 Located at St. Anthony Convent of the Sisters of St. Francis of the Neumann Communities in Syracuse, N.Y. the shrine and museum provide wonderful information about the life and legacy of St. Marianee Cope, from her early life in Utica, to her health care ministry in New York and with people with Hansen's disease (leprosy) in Hawaii. Exhibits and artifacts illustrate Mother Marianne's life, her many accomplishments, and the canonization process. Marian Shrine and Retreat Center on 200 peaceful acres. Italian marble rosary way. Replica of the St John Bosco birthplace. 48-foot statue of the Madonna. 15-Station Rosary Walk. Outdoor Way of the Cross. Giftshop/Bookstore and Cafeteria. Pavilion Chapel Worship Center. 48 ft. Rosary Madonna.